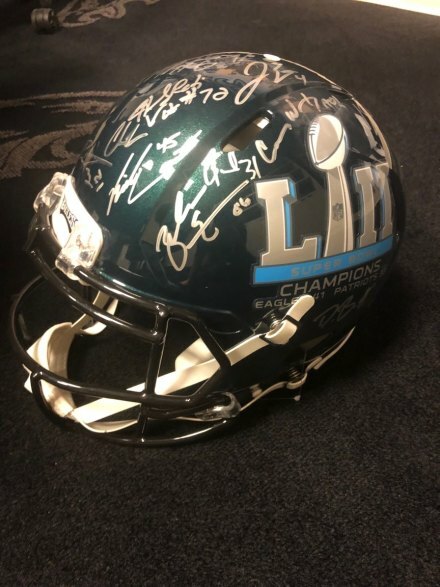 Philadelphia Eagles Superbowl Champion SIGNED, Authentic Helmet Raffle! 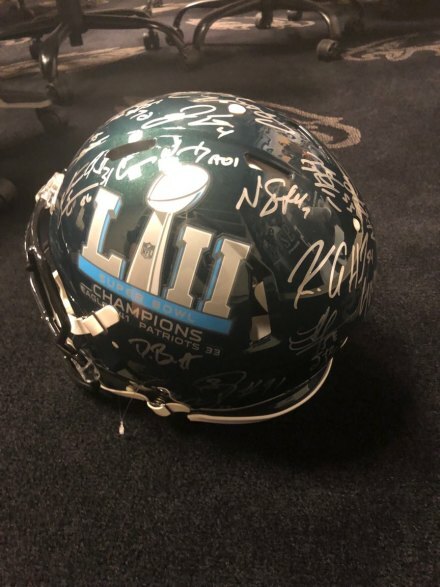 Do not miss your chance to own a piece of history!! 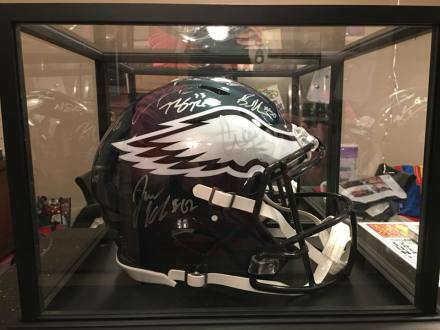 The Warminster Pioneers are raffling a full sized, 100% authentic Philadelphia Eagles helmet, SIGNED by the Super Bowl Champs!! 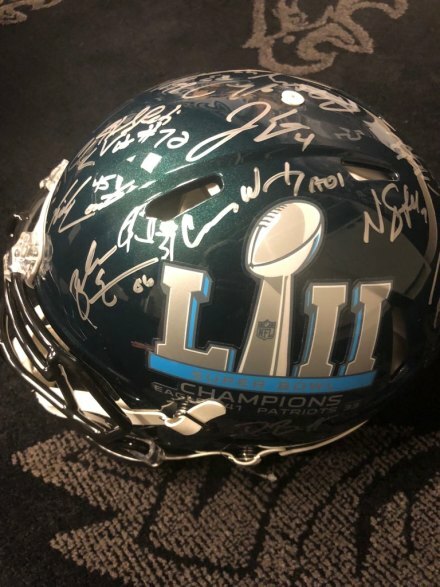 The helmet also comes with a Certificate of Authenticity and a mirrored case! The raffle ticket will be priced to sell Online $10 each! In person ticket special is 3/ $20! There will be a live drawing on September 8th (our bowl weekend)! 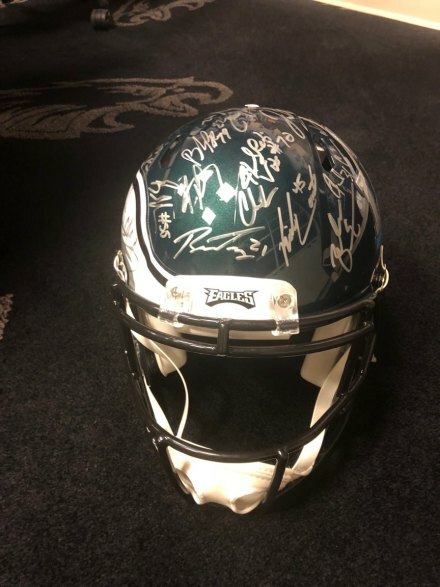 Do NOT need to be present to win, Winner will be notified immediately! Tickets are available online at all times and will be sold in-person at all Pioneer's live events like practices, workouts and fund raisers. Feel free to also reach out to any coaches or board members for raffle tickets also!